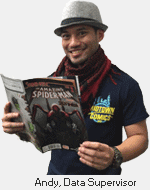 Welcome to Midtown Comics' advance ordering program! You can save the most by pre-ordering your comics and merchandise from Diamond's Previews catalog. Browse through the catalog below to find products at the best available discounts!